The Pingualuit Crater is located in Canada on the Ungava Peninsula of Quebec. The crater was formed after a meteorite strike some 1.4 million years ago and is most famous for its nearly perfect round shape and the lake that lies at the bottom of it. There are a couple of things that make this lake very unique. The first one is the purity of the water. Many believe it’s the purest freshwater lake on Earth, but the origin of the water is also very specific. 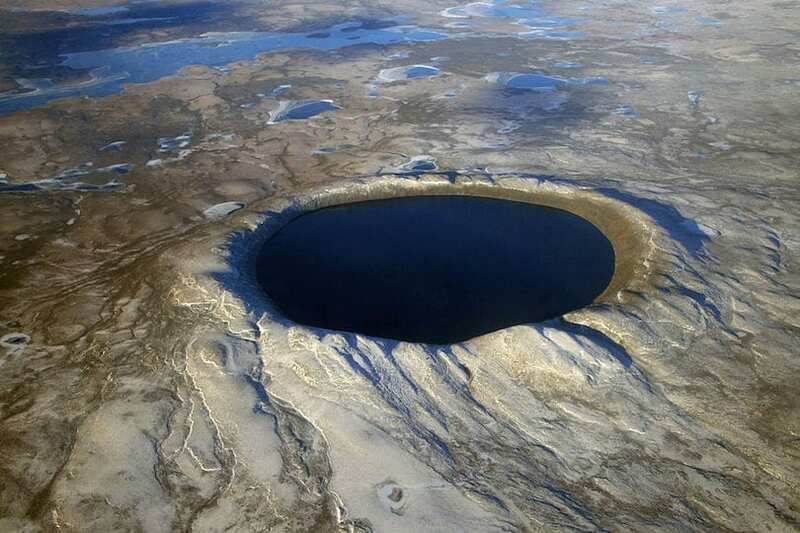 The lake of Pingualuit crater doesn’t have any inlets or outlets, meaning that the rain and snow are its only water sources.